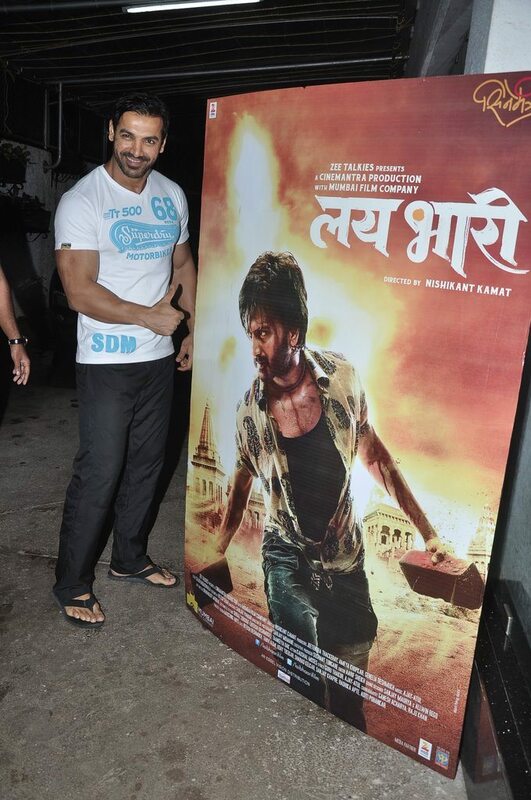 John Abraham gives FIFA a miss for Riteish’s Lai Bhari. 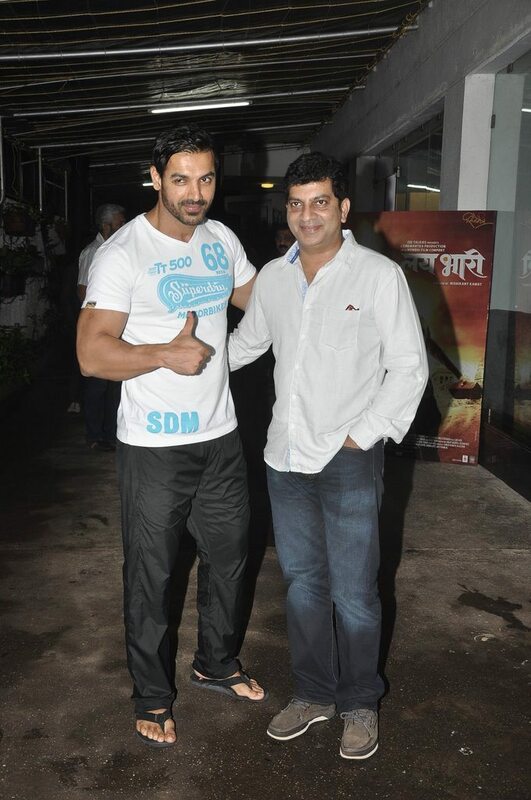 Bollywood’s hunk John Abraham was at the the screening of Riteish Deshmukh’s marathi movie ‘Lai Bhari’ in Mumbai on July 11, 2014. The actor opted to catch up with Riteish’s debut Marathi film instead of the FIFA match, that’s definitely saying something about the film! 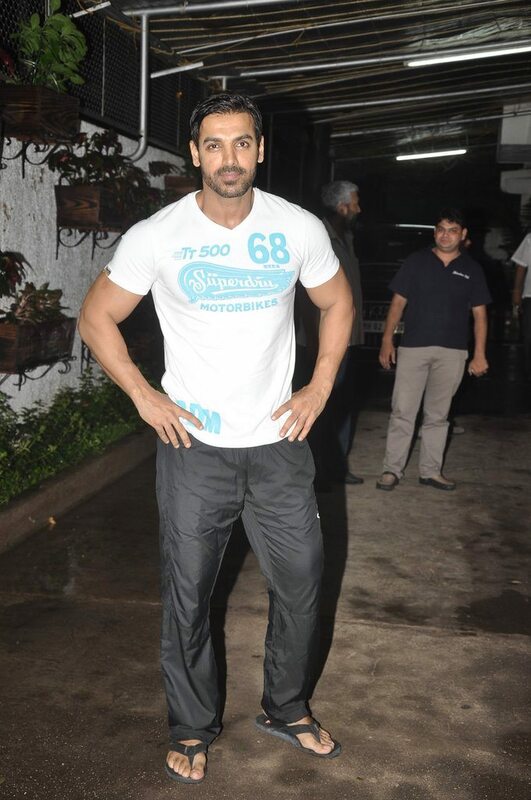 John sported his usual workout attire in a pair or track pants and a t-shirt. 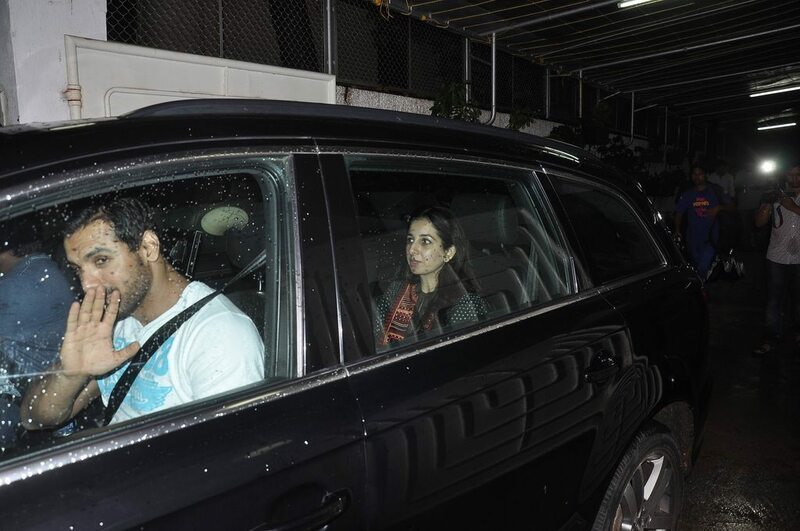 The actor was last seen in the movie ‘Madras Café’ and is currently working on upcoming projects, ‘Welcome Back’ and ‘Rocky Handsome’ which are under his home production banner. The actor is also producing another movie called ‘Satra Ko Shaadi Hai’ which is still in its initial stages of production. Lai Bhari hit the silver screens on July 11, 2014 and has been directed by Nishikant Kamat.